Made in St. Augustine is the culmination of all things local. Our mission is to celebrate everything created in the nation’s oldest city and promote everyone who “makes” in St. Augustine. We strive to highlight not only our local established entities with storefronts but to reveal the area’s hidden gems, undiscovered opportunities and lesser known organizations. Together these businesses, individuals and groups create the Made in STA community. Through events such as the annual Made in STA Fest, we are able to showcase everyone “made in St. Augustine” in one place at one time. 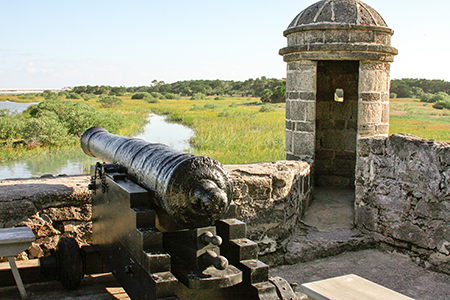 Visitors have the unprecedented opportunity to experience all things local while benefiting the St. Augustine community. Our website enables visitors to discover the many members of the Made in STA family and further explore everything available in our backyard. We invite you to join the Made in STA celebration! Buy local. Support local. Live local. And let’s make St. Augustine even stronger. Buy 100% local and handcrafted! Discover local performers, kids’ activities and adult fun. Learn about our vast history, culture, maritime heritage and natural resources.